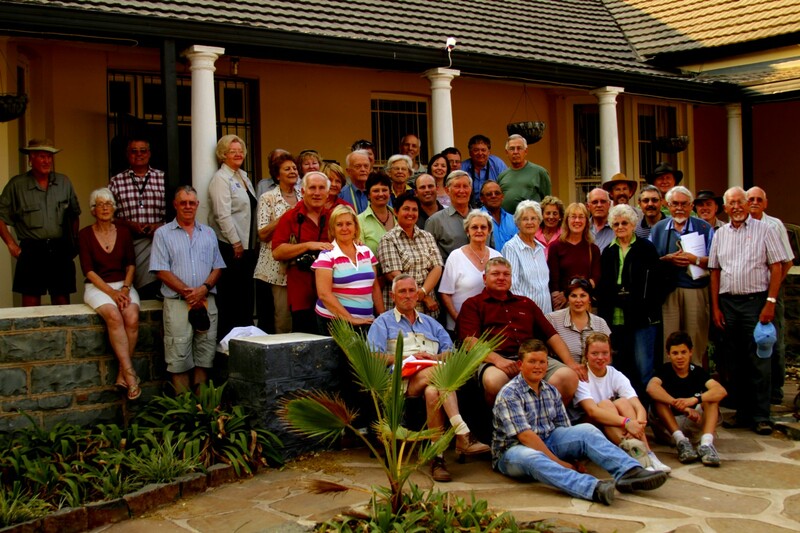 Posted by Jenny in Boer War, history, memoir, military history. 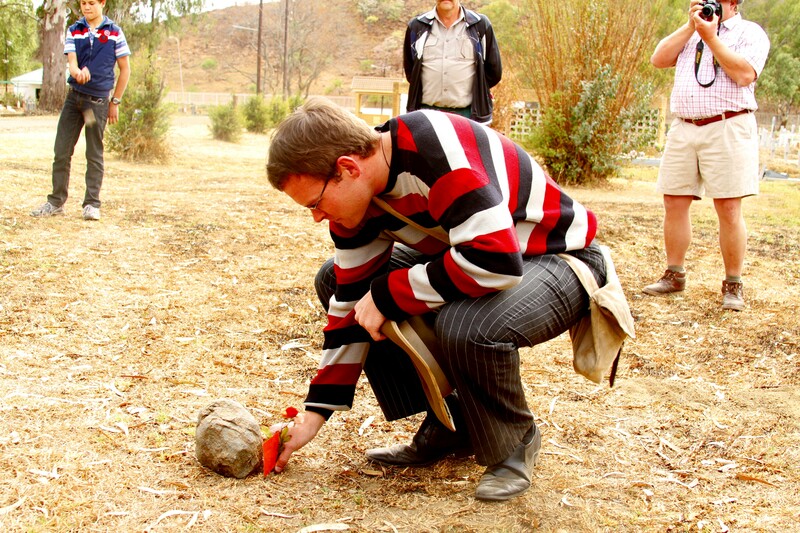 This is the most important thing about my trip to South Africa. And this is my final report about the trip. 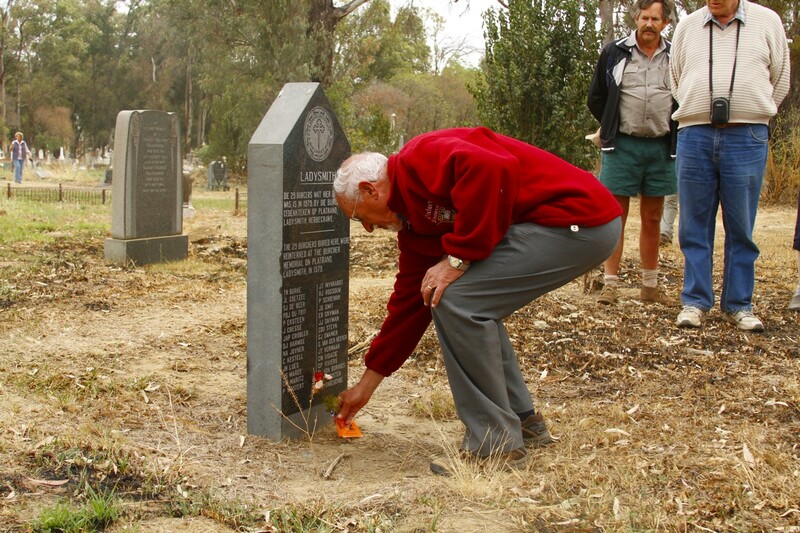 This was more important than my wildlife sightings, and more important than my experiences of the battlefields. 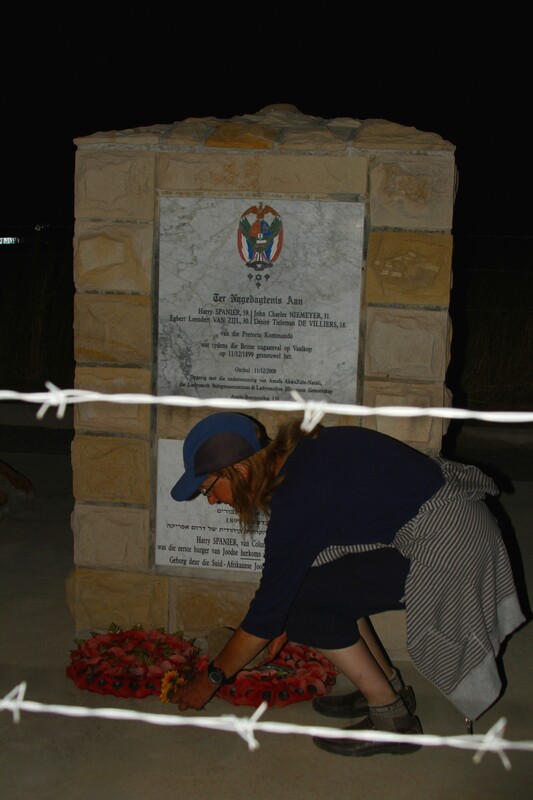 We visited the sites of many people who died, and thanks to the Anglo-Boer War Museum, we placed a commemorative flower at each site. 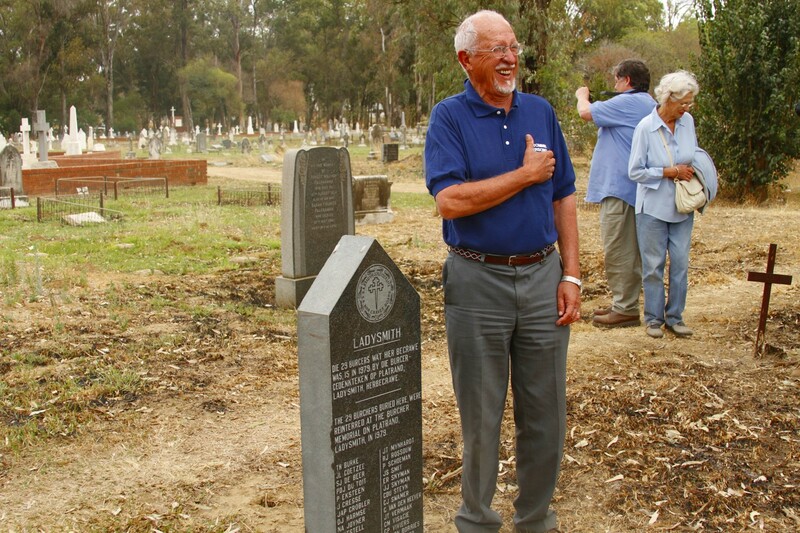 It was an artificial flower—which lasts a long time—and a statement about our honoring of the dead. 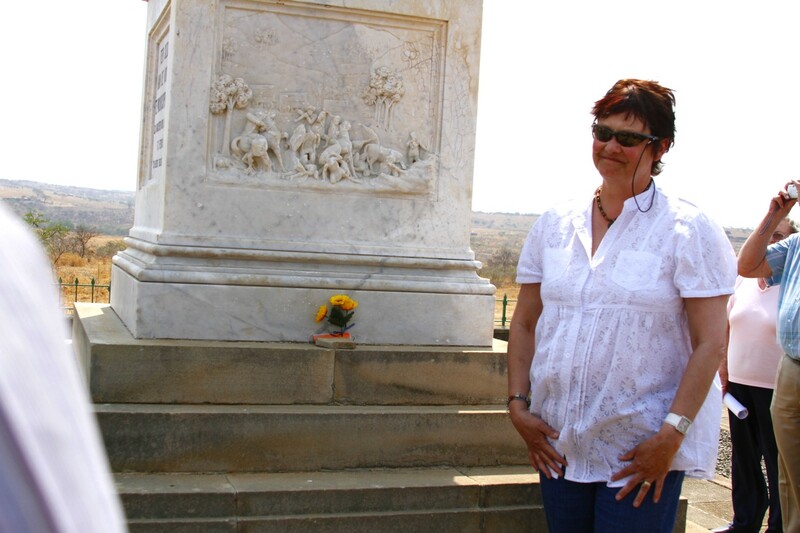 I think everyone who went on our tour of the Natal battlefields placed one of these flowers at an appropriate site. 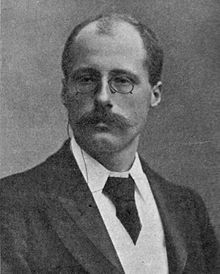 And for me, the wonderful thing was the connection between the person of the present and the person (or people) of the past. 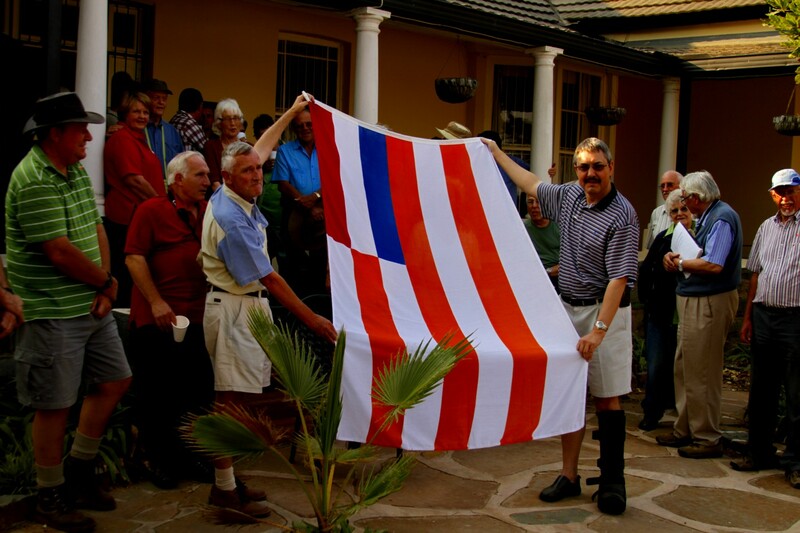 Here we had the flag of the Orange Free State. 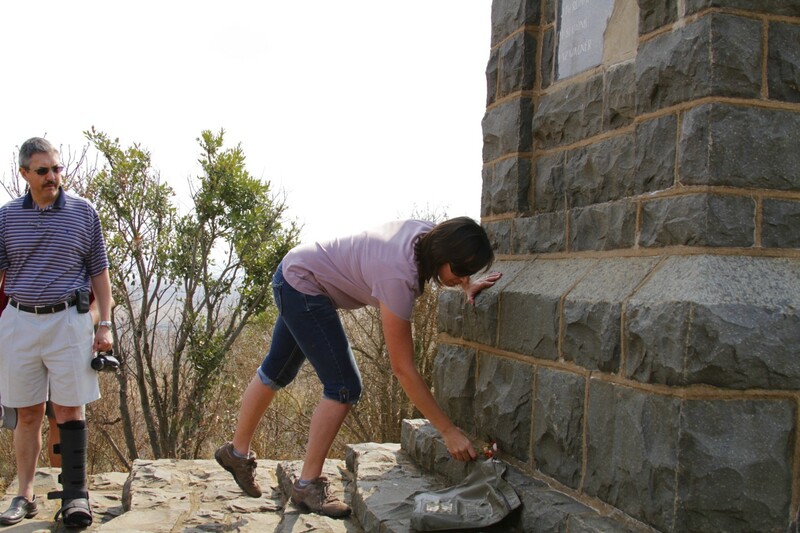 I was very honored to be asked to place the flower at Surprise Hill. 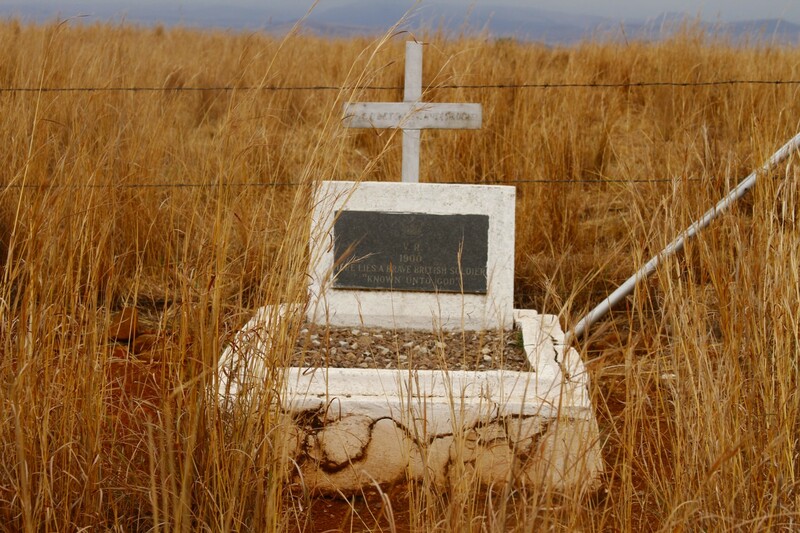 Grave of an unknown soldier (at Spionkop). Many, many died without being known. This actually turned out to be funny. He had a fleece jacket that said "Oxford Union Crew." 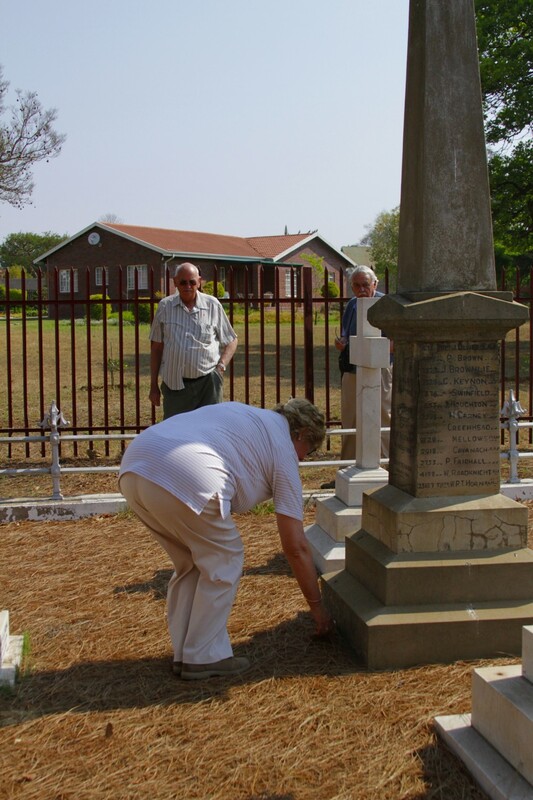 When the Boer descendants objected to this Anglo attire, he removed the jacket only to have a T-shirt that said "Tommie personnel" (though it only referred to the Thomas School, not to the "Tommies" who were the foe in the war). He still had Anglo-oriented attire, much to everyone's amusement! 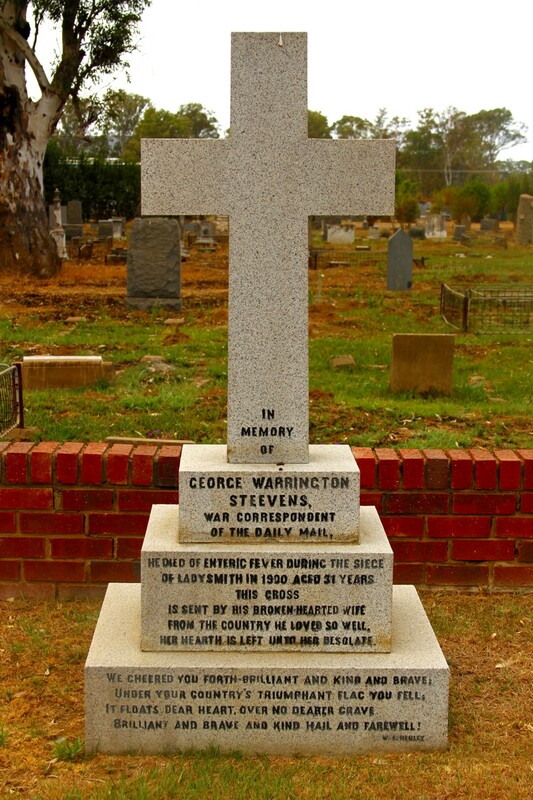 This grave made me weep, even though it was an English journalist rather than a Boer fighter. 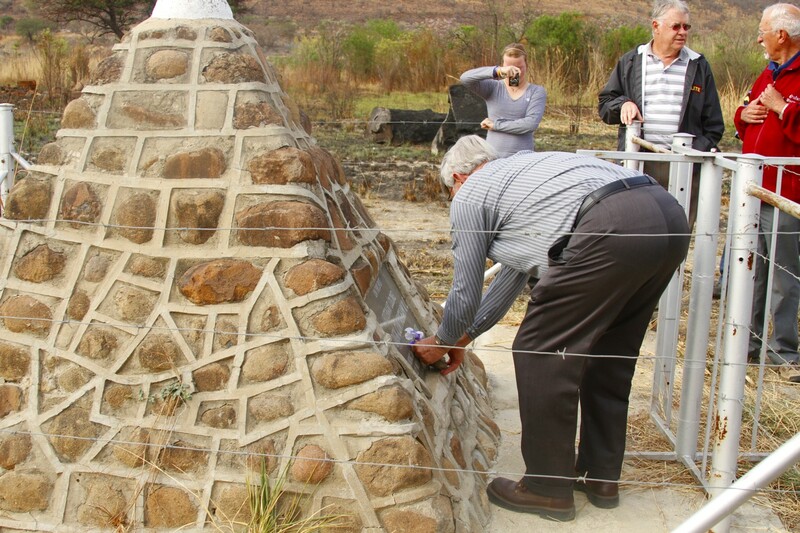 He wrote brilliant and insightful dispatches from the besieged town of Ladysmith. I cried when I saw this. 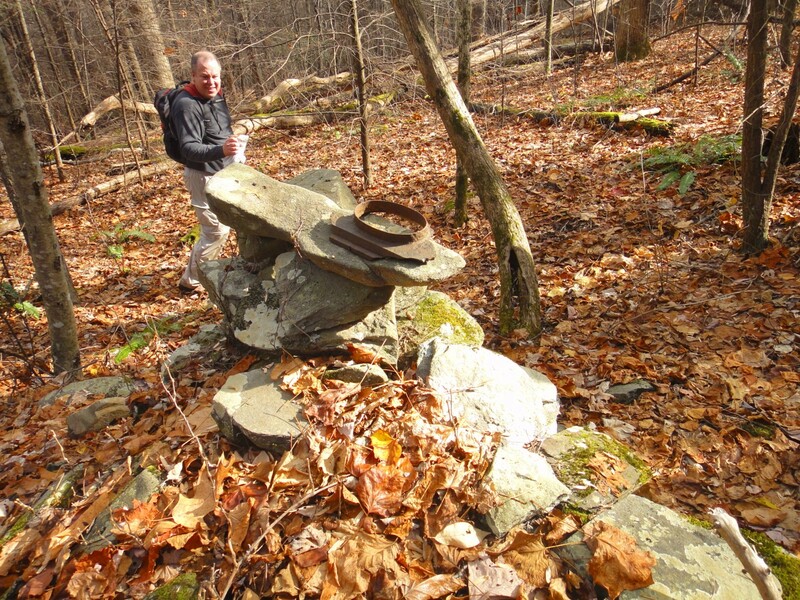 This outing of the Smoky Mountains Hiking Club was supposed to be a moderate off-trail hike featuring an old road and pleasant open ridges: up Pine Ridge and down Sugar Cove Ridge. 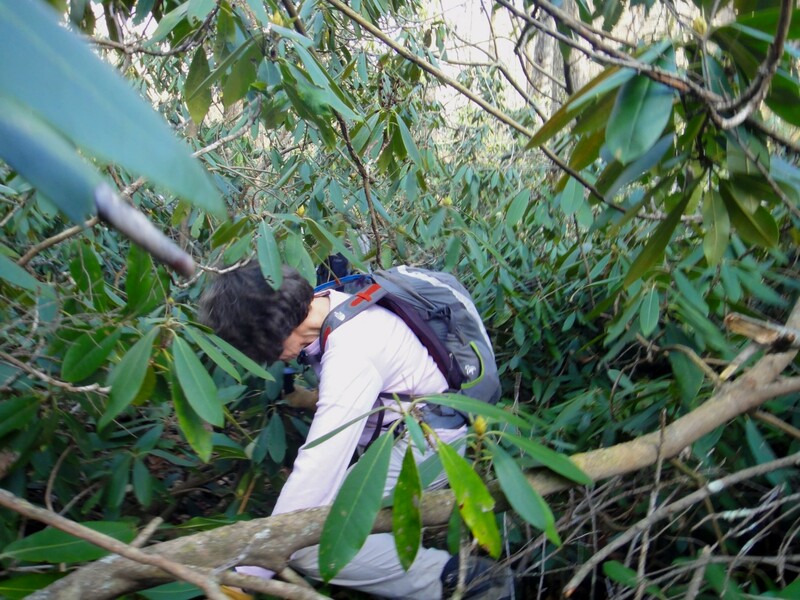 However, due to a navigational error, we ended up descending a nameless greenbrier-infested ridge that led into a dense rhododendron thicket along Bower Creek. I didn’t really mind the rhodo that much. But some people didn’t like it at all—no, no, not one bit. In spite of the rhodo episode, I think most of us would agree that it was a great outing overall. The navigational error was a very easy one to make in amorphous, deceptive terrain. Even though a surprisingly large number of our group were experienced enough to have led SMHC off-trail hikes over the years—I believe seven of our group of eleven had been either leaders or co-leaders on those kinds of outings, or a startling 63%—we failed to notice that as we departed the flat area below High Point, we were heading east rather than northeast, and getting onto the divide between two forks of Bower Creek rather than Sugar Cove Ridge. We started our hike at the Gregory Ridge trailhead. This was the first time I have done a hike in the Cades Cove area since I moved to Asheville. I’ll probably do hikes there again—but not very often. I started driving at 4:45 a.m., thinking to allow plenty of time, as I’m a chronically early person. I blame my parents for instilling in me the idea that keeping anyone else waiting is the ultimate sin. Driving at 5:00 in the morning has its advantages. I passed exactly one vehicle on I-40 in the 46 miles between Asheville and the Tennessee state line. Patches of dense woolly fog hung over the highway as I wended my way through the Pigeon River Gorge, but each time as I reached the far side of a fog bank, I noticed a lovely silvery tint to the fog as the bright moonlight started to burn through. Fleecy silver clouds dotted the dark blue sky higher up, decorating the space above the shadowy ridges. 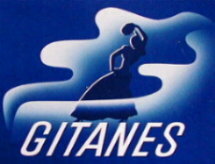 It reminded me of the packaging for Gitanes, a French brand of cigarettes that I sometimes smoked during my evil teen years. Okay, enough of these irrelevant autobiographical musings. I made good time going through Cosby and Gatlinburg and along the Little River Road. 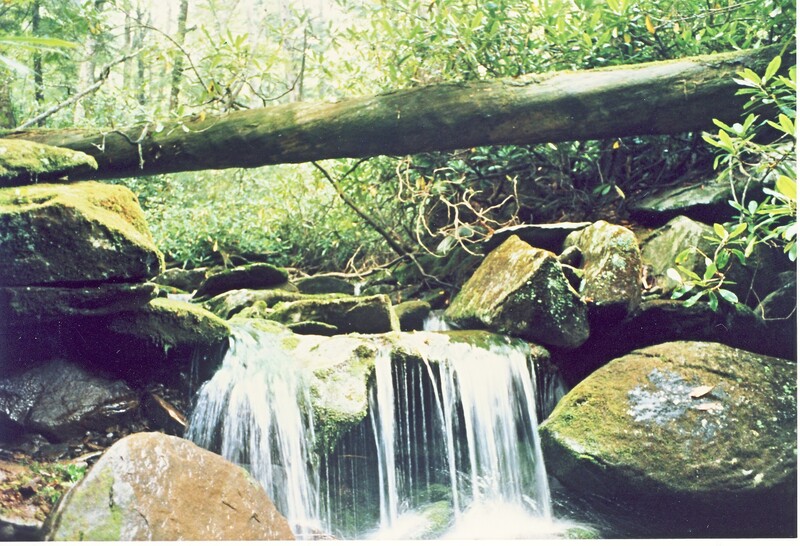 But as soon as I reached the Cades Cove loop, everything changed. I got stuck in a clump of about 12 vehicles following a very slow pickup truck. I know what the driver of the pickup was thinking: “Hey everybody, just slow down and enjoy it. 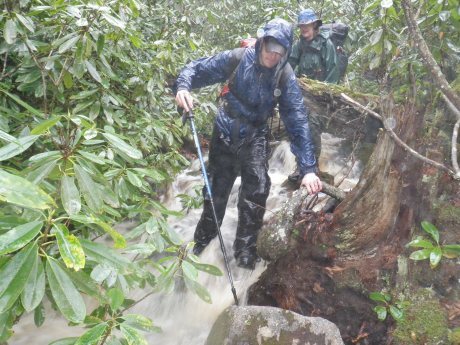 That’s what we’re here for.” If I had been closer to the offending vehicle, I would have explained to the driver that some of us have visited Cades Cove many times and were simply trying to reach the starting point of a hike. So, after traveling at 5 mph around the loop (I am not exaggerating), I arrived at the trailhead exactly at 8:15, the time I was in fact supposed to be there. But being who I am (okay, here comes another irrelevant autobiographical musing), I would have preferred to make my own decision about my timing rather than having it controlled by someone else. I had fantasized getting in a 30-minute nap at the trailhead. We made the creek crossing shown at top and found some of the foundations. 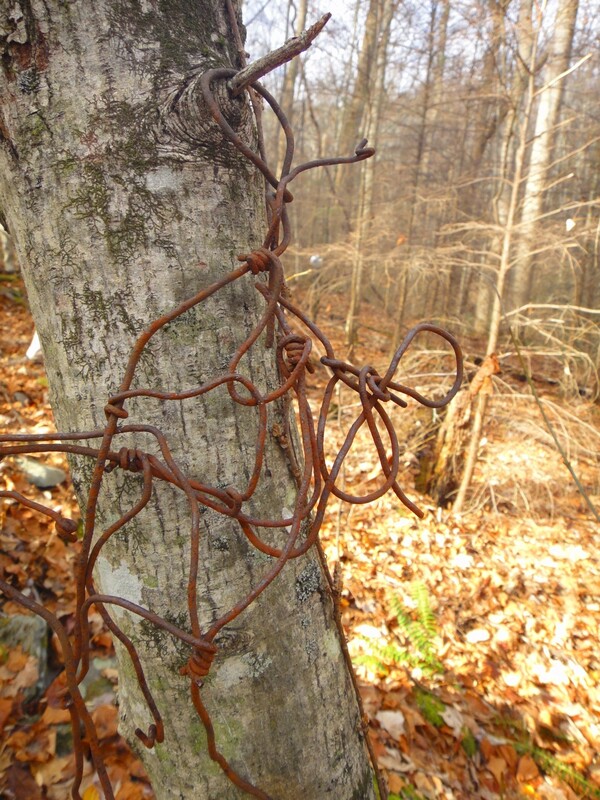 This particular house also featured part of some old bedsprings hanging from a tree. Where the streambed and old road started to get brushier, we headed up to the west to top out on Pine Ridge. 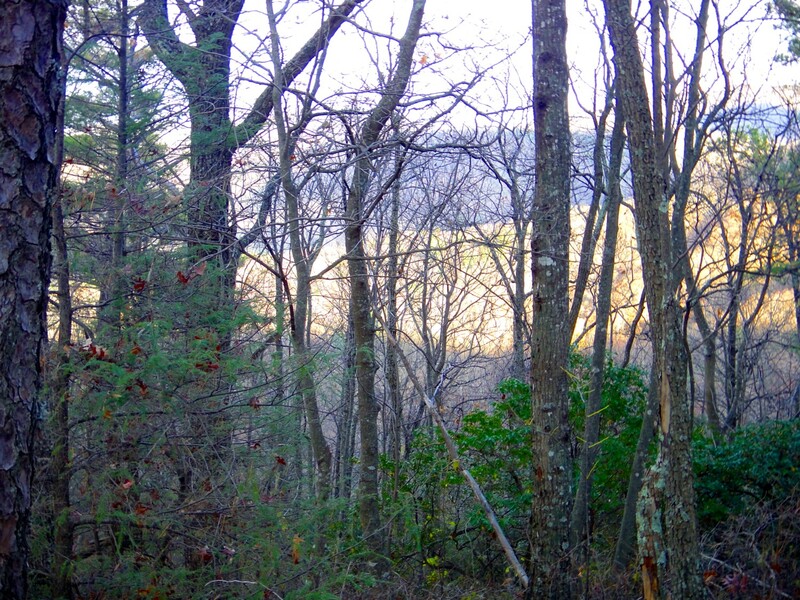 It was a moderately steep climb through open woods, very pleasant. 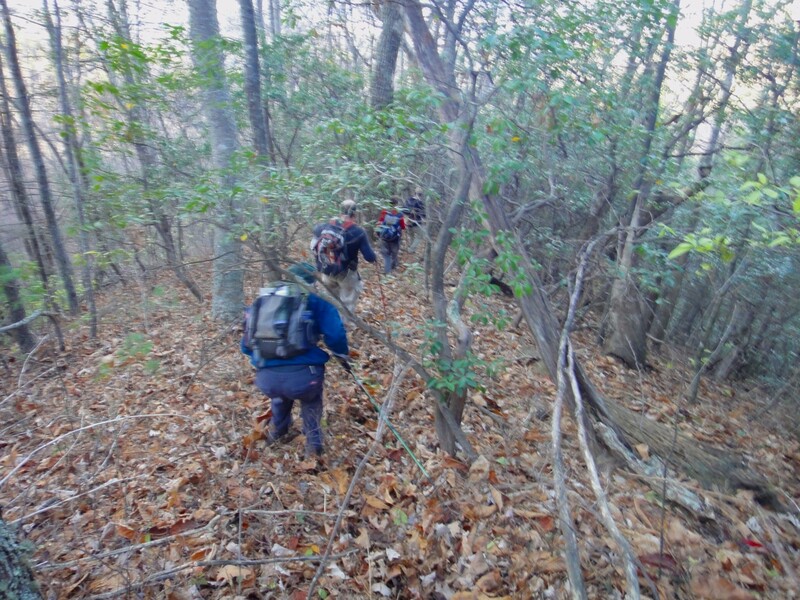 After a break for something to eat, we continued climbing the ridge, reaching a relatively flat area at about 4000 feet, north of High Point. It was when we started descending from there that we made our navigational mistake. 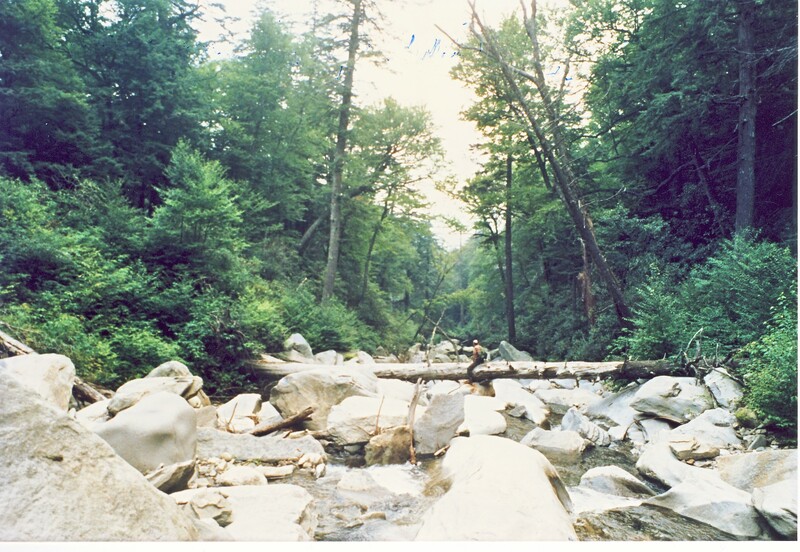 The greenbrier was a bit annoying, and then we came down to a rhodo-infested creek, where our mistake became obvious. But we recovered, after a short stretch of rhodo-thrashing (and rhodo-trashing, as well). We got through the worst of it and climbed up a side ridge of Sugar Cove Ridge. (When we reached the top, I thought we were on main Sugar Cove Ridge. I was wrong, as I was able to see with the help of a compass.) We continued up and did some steep sidehilling until we did in fact top out on the main ridge. We had been forced to re-climb about 400 vertical feet and to do some serious backtracking, but it was the best way to recover from the mistake. And it really wasn’t that bad. So we descended the ridge that was pleasant and open, just as described in the hike writeup. I liked the way the surrounding mountainsides were glowing in the late afternoon light. From a gap at 2400 feet, we dropped back down to the old road on the branch. 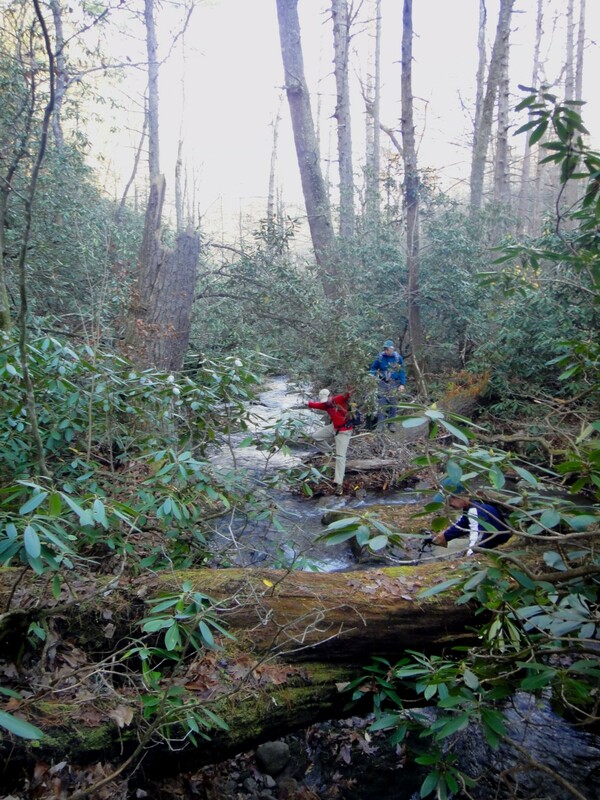 We made the lower creek crossing, noticing some interesting marks on a dead hemlock. 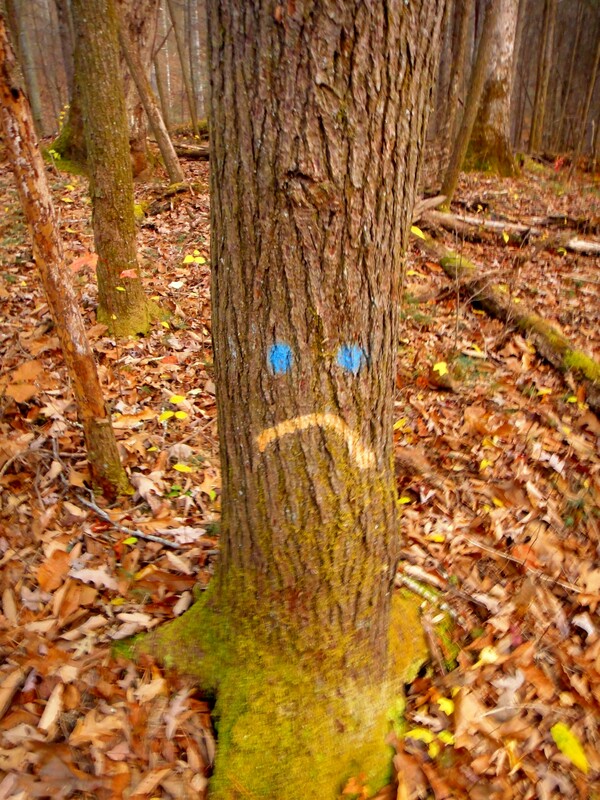 Some hemlocks in the park have been marked with spots of blue paint to indicate that they should be treated for the hemlock woolly adelgid. But this one had been painted in a slightly different way. We got back to the trailhead just as it was starting to get dark. I’d hoped to take the one-way Parsons Branch Road to get over to the NC side of the park, but it was gated, so I got to experience another stint of 5-mph driving as I exited Cades Cove. But after that it was fine, as I gambled that the Newfound Gap Road and the Blue Ridge Parkway to Soco Gap would be virtually empty of traffic on a Sunday evening in November, and I turned out to be right about that.